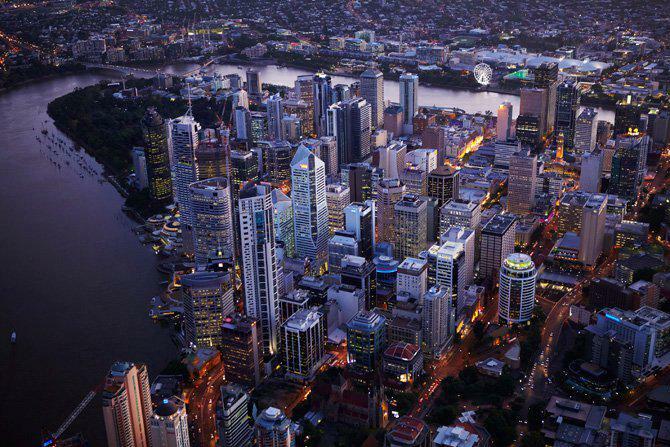 Brisbane office vacancies have risen to the highest level in 20 years according to the Property Council of Australia’s mid-year Office Market Report (OMR). The overall Brisbane CBD office vacancy rate increased by 3.5 per cent to 12.8 per cent in the 6 months to July 2013. According to Queensland Executive Director of the Property Council of Australia, Kathy Mac Dermott, the increase in vacancy is attributable to a combination of staff reductions across the mining, public service and general business sectors and new supply additions. “Net absorption was negative 64,069 square metres for the six months to July. This is a significant turnaround following four years of demand running significantly above historical averages.” Ms Mac Dermott says. The Brisbane fringe market vacancy also increased from 9.6 to 11.8 per cent, largely the result of supply additions of 52,182 square metres. “Brisbane is certainly a tale of two office markets at the moment, with the Fringe continuing to grow in popularity with tenants while the CBD experience challenges.” Ms Mac Dermott says. There is some good news for building owners and developers with limited supply – the equivalent of 0.2 per cent of current stock – anticipated over the next two years. A total of 4,278sqm is expected to enter the market in the second half of 2013 with no new developments entering the market in 2014. Beyond 2015, approximately 190,000sqm of commercial office space is mooted for delivery, including 60,000sqm in Japanese developer Daisho’s 180 Brisbane and 56,000sqm in Dexus and Grocon’s 480 Queen Street.